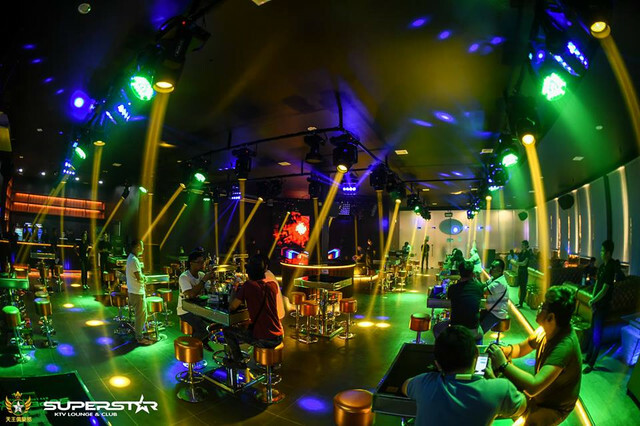 The clubbing scene in Metro Cagayan de Oro is about to uplift with the grand launching of Superstar KTV Lounge and Club! 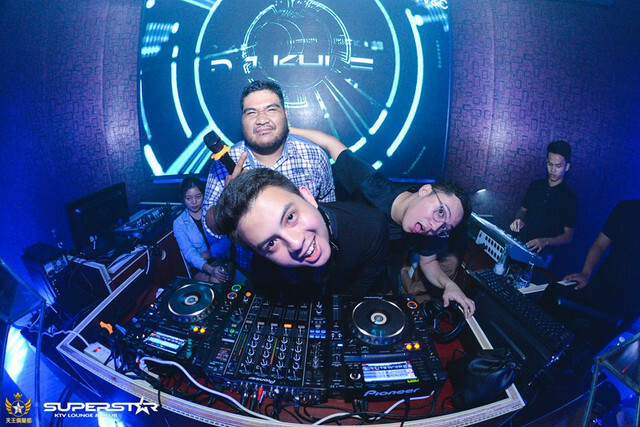 The newest upscale Club in Cagayan de Oro has been attracting the crowds since it had its soft opening last July 21, 2018 with the iconic Banaag brothers- RB and Kyle. Superstar KTV Lounge and Club located at the 3rd Floor, Cagayan Town Center- an entertainment complex will have its historic milestone as it set to have its grand opening tonight with the AMPLIFIED Cagayan de Oro DJs, one of the city's best teams with a solid reputation of bringing out the avant-garde spirit in you. 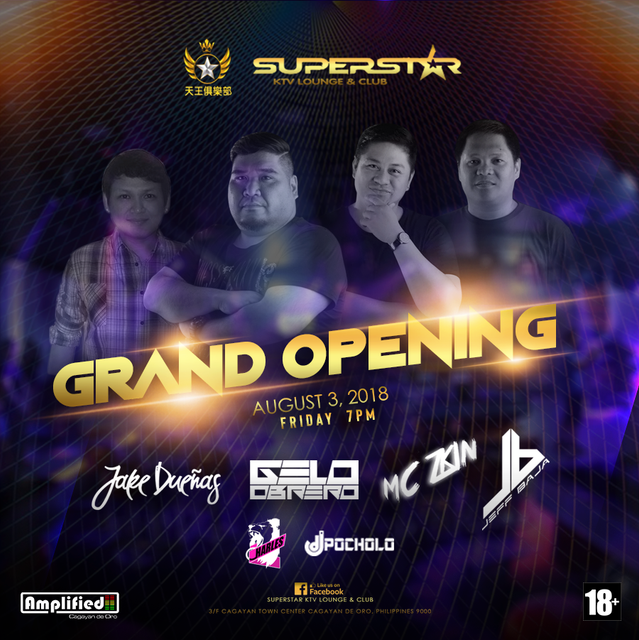 Superstar KTV Lounge and Club features some of Cagayan de Oro's top DJ's happening every night for its theme nights with excellent selection of music to lose oneself to the dance floor and wide array of drinks to choose from. The newest club offers its exclusive KTV rooms with an inspiration of European art, and houses stylish discotheque design bringing world class entertainment in the city. 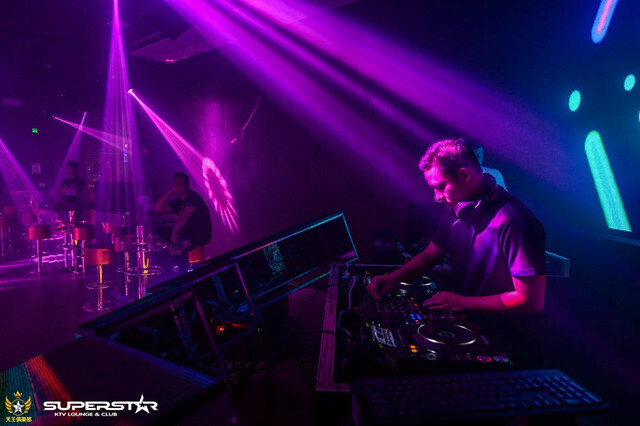 It hosts lounge areas, DJ booth with a large LED screen back drop, and a solid lighting system to dance the night away with the beat of the music. Patrons find here an upscale and intimate ambiance! AMPLIFIED CDO will be bringing out live music from DJs Jake Duenas, Gelo Obrero, Jeff Baja and MC ZKin delivering exciting music styles for the ultimate lounge and clubbing experience. The grand launching will start at 07:00 in the evening for the exclusive VIP experience, and the doors will open at 10:00pm for public patrons. 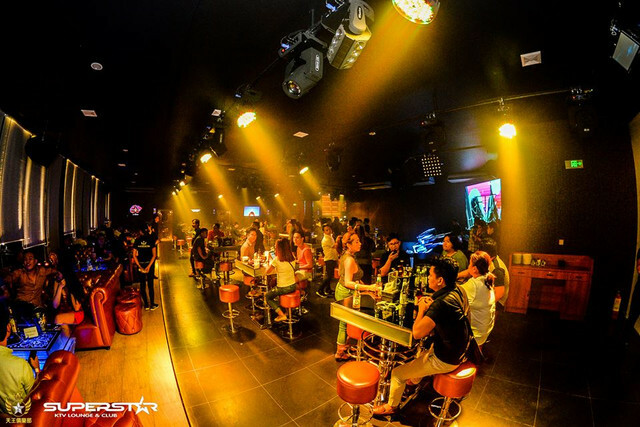 Additionally, Superstar KTV Lounge and Club follows a strict age restriction with a proper dress code as the name implies- Superstar.